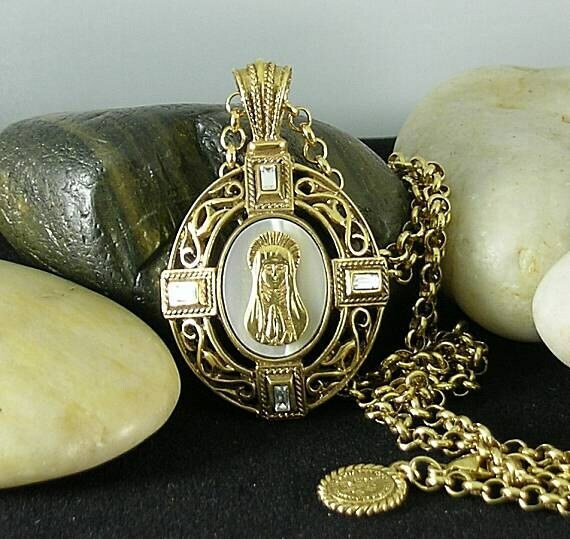 A vintage Mother of Pearl Pendant with the image of the Holy Mother, the Blessed Virgin Mary praying. There are rectangular clear Swarovski crystals at the 4 cardinal positions in the filigree border. 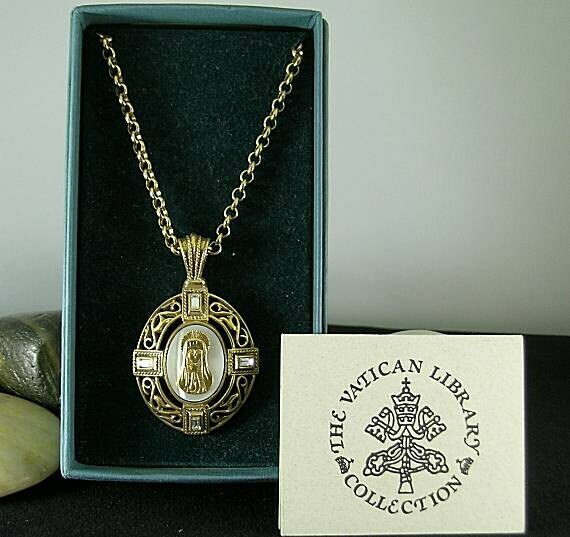 This necklace is from the discontinued stock of the Vatican Library Collection. This figure of Mary in prayer is adapted from manuscripts in the Vatican Library. Seen above Mary's head is a Nimbus, which represents eternal life, all on a background of mother of pearl. 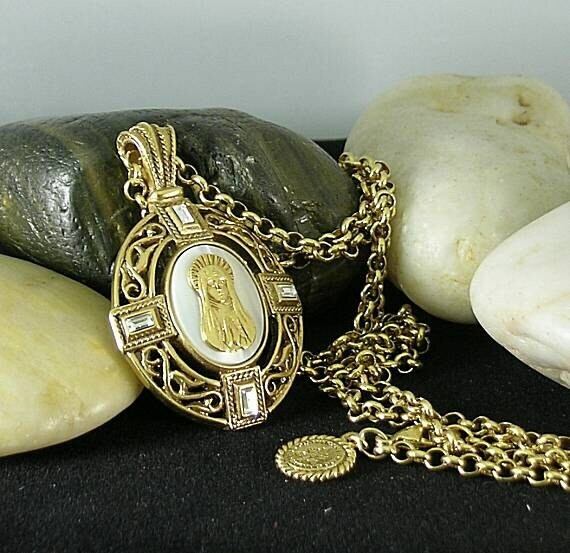 The pearl is a symbol of purity in Christian art with its origin and reference from the Gospel of Mathew. 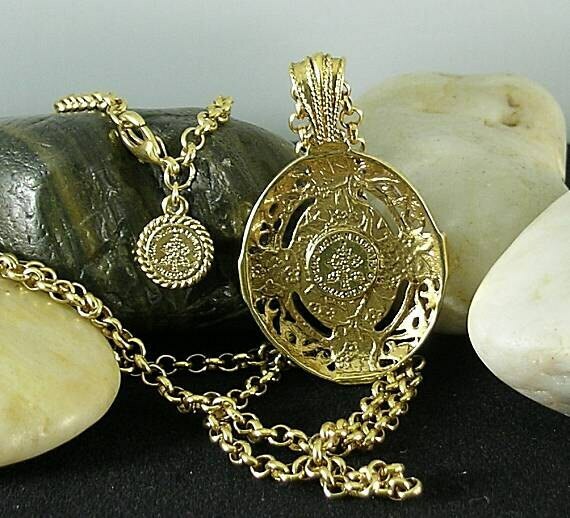 It hangs on a heavy 28" long chain which also has a Vatican tree seal charm. Mailed in a gift box (which is slightly damaged) via USPS Priority Mail - Insured for safety and so that you can track your package on-line.